Pioneer Colonel William Campion 1798-1856, married to Mary Potts, had 11 children. Maria(1831-1915) Click here to see Maria Campion’s and William Young’s family tree. The Last Will and Testament of William Campion of the Township of Marmora in the County of Hastings Province of Canada, Wihupeth. 1st I resign my soul into the hands of Almighty God hoping and believing in a remission of my sins by the merits and mediation of Jesus Christ; And my body Tummils to the earth, to be buried at the direction of my Executors herein named, and my worldly estate I give and devise as follows. First, I give and devise to my eldest son Thomas all that my whole mifsuage and tenement, actual lying and being in the Township of Marmora being Lots number Twenty Five in the Third Concession to have and to Hold to my said Son Thomas his heirs and assigns forever. Second, I give and devise to my eldest daughter Eliza Anne all that my whole mifsuage and tenements situate lying and being in the Township of Marmora near the Mills at present inh----pion of Joseph Cardifff, of which lots her husband William R. Parker at present holds the Deeds to have and to holds to my said Daughter Eliza Anne her heir and assigns forever. Item: I likewise bequeath to my eldest Daughter Eliza Anne the sum of Thirty Pounds to be paid her One Year after my decease. Third, I give and devise to my second Daughter Maria her heirs and assigns forever , all that Parcel or Track of Lands situated and being in the Township of Thurlow of Trent Port inthe County of Northumberland, Province of Canada containing one fifth of an acre river or lots Lots Number Fourteen on the South side of Henry Street in the said Town of..... sent----- to have and to hold to my said daughter Maria and heirs and assigns forever. Fourth, Lands thereby remains, the guardianship of all my children under age until they shall respectively attain the age of Twenty One Years unto my said wife Mary during her life or after her decease or seconds marriage with my trusty and much esteemed friend Isaac Broadworth the Robert Reads and William R. Parker Their Executors and assigns and dohereby declare that the expenses of the maintenance and education of my said children until they shall attain the age aforesaids orbecome entitled to the lands of namely Or property hereinafter mentioned forwarded for their benefits respectivelyshall be paid and borne by my said wife, by and outs of the monies and estate given and bequeathed to her by this my will. Item, I give and devise unto my said wife all, that my said mifsuage and Tenement with all maintenancies ---------------lying And being parts of Lots Three and Four on the East side ofthe lots in the Seventh Concession of Marmora with the lands and heridetainments thereunto belonging and the rents levies and profits for and during the term of her said life and borne and after the decease of my said wife Mary I give and bequeath my youngest son Joseph Wellington Campion I give and devise all that my whole mifsuage and tenements, situate lying and being in the Township of Marmora comprising part of Lot number Three and Four on the East side ofthe Creek in the Seventh Concession to have and to hold to my said son Joseph Wellington his heirs and assigns for ever. Item, I give and devise to my Second son Richard all that my whole mifsuage and tenement situate lying and being in the Township of Marmora comprising the East part of Lot number ONE in the Seventh Concession. Also the West part of Lot Number Six in the Eighth Concession, folio all that parts lying East of the Creek of Lots Number Two in the Seventh Concession; Linking all my Rights and Interests in the Number Two comprising the West half of said lots in the Fourth concession to have and to holds to my saids son Richard Campion his heirs and assigns forever. Seventh Concession being situate on the West side of the Creek to have and to hold to my said Son James Albert Campion his heirs and assigns forever. Item, I give unto my Third Daughter Esther Campion the sum of Fifty Pounds Halifax Currency. Item, I give unto my Fourth Daughter Mary Victoria Campion the sum of Fifty Pounds Halifax Currency. Item, I give unto my daughter Margaret Campion the sum of Fifty Pounds Halifax Currency..
Friends in Belleview, Pipestone and Virden district learned with profound regret of the passing of George Reed Campion, who died following a brief illness at his home, Harwheatly Farm, Belleview, Tuesday, April 16th, 1929. 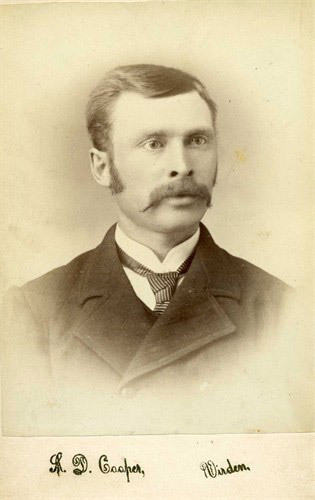 Mr. Campion was born at Marmora, Ontario, August 10th, 1857, and shortly after reaching his majority came West. He worked for a time with a survey party and was amongst the first to homestead in the district where he lived for nearly half a century. While operating his farm successfully and devoted to his home and family, he found time to serve his community in various capacities. He served a municipal councillor for five years in the eighties and for eight years he filled the position of postmaster. He also served as trustee and secretary-treasurer of Belleview School District for many years. Mr. Campion was a man with a kindly disposition, a good neighbour and a friend to everyone in the community. He was a member and elder of the United Church and was always ready to support the work of the Master, as well as help to promote very good cause. 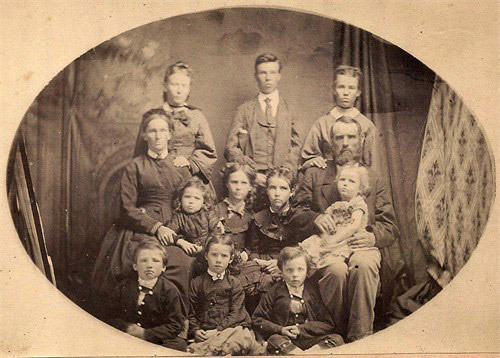 He is survived by his widow, and one daughter, Kathleen, at home; four sons, G.S., R.P., E.R., and E.T., all farming in the district; also by a sister, Mrs. H. Stevens (Elizabeth) of Oak Lake; a brother, Richard E. Campion of Brandon, and a grandson (Ken) in the home district. These will have the sympathy of the whole community in their great loss. The funeral was held on Thursday, April 18th. A short service at the home preceded the service at the United Church, Pipestone, which was altogether too small to accommodate the large number of neighbours and friends, including several from Virden, who thus paid their last tribute to an esteemed pioneer and man. The services were conducted by Rev. Dr. James Carlin. Many beautiful flowers, tokens of sorrow, esteem and sympathy covered the casket, including a wreath from Belleview district, a cross from Pipestone United Church Board, a spray from the United Church Ladies' Aid and many from personal friends and friends of the family. Interment was made in Pipestone Cemetery. The bearers were Messers. J. Howatt, H. MacIntyre, T. McNichol, D. Mellish, W. Forder and G. Lothian. The death of George Stanley Campion occurred in the Melita Hospital, Manitoba, on Thursday, September 17th, following a final illness of ten days. He was in his 92nd year. 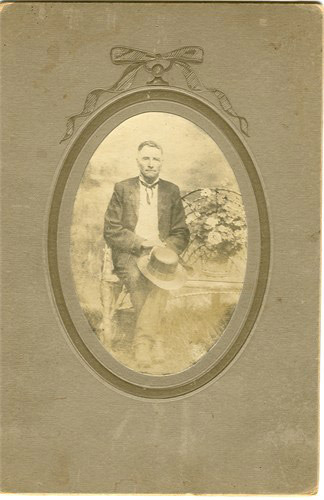 Stanley was born May 22nd, 1890, the eldest child of pioneer parents, Mr. and Mrs. George Campion, on the homestead farm at Belleview. He received his education in the Belleview School, being one of its first pupils. Took one year in Agriculture at the Winnipeg School of Agriculture, then farm the Riverbend farm in the Belleview district. 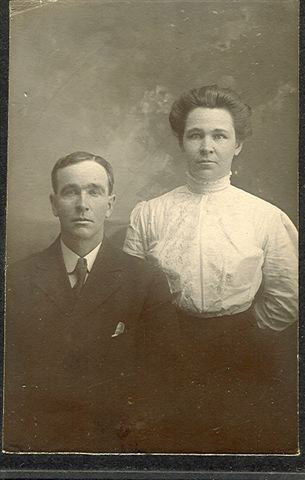 In 1927, he married Bessie Evelyn Hawe of Benito, MB to which union three sons were born, two surviving. He and his son carried on a mixed operation until 1969 when he and his wife retired to live in Pipestone. He was a member and an elder of the Pipestone United Church. He enjoyed the Drop-Inn Centre and its activities when health permitted. Funeral services were held in the Pipestone United Church on Saturday, September 19th at 2:00pm. Rev. Keith Young officiated with organist Mrs. A. Senkbeil and choir assisting. He leaves to mourn his passing his sons Ken and Douglas, daughter-in-law, Gladys and grandchildren, Rhonda and Darcy; three brothers, Reg, Eugene, and Ernest, and their wives and families. Honorary pallbearers were Messers. Cecil Forke, Gordon Howatt, Clarence Lennon, Les Chrisp, Bill Walker and Ed Foote. Active Pallbearers were Messers. Cyrill Dermiens, Edwin Jackson, Henry Davis, Bill Lawrence, Verne Edwards and Howard Harvey. Internment was in the Pipestone Cemetery. I stand before you today, the representative of a grieving family, to pay our respects to Charlie Campion. I thank his wife Lee and his daughter Joyce for inviting me to do this. Today is our chance to say “Thanks, Charlie, for the way you brightened our lives”. Actor Jack Lemmon said- “Death ends a life not a relationship”. Our relationship with Charlie, whether he was a husband, a father, an uncle, a grandfather or a friend, will never leave our thoughts. On March 3, 1918 Charles Earl Campion was born on the Campion farm about 4 miles north of Marmora Village, the son of Harry and Mellisa. He was the youngest of 7 children. Clair, Luta, Albert, Stella, Myrtle and Arthur predeceased him. 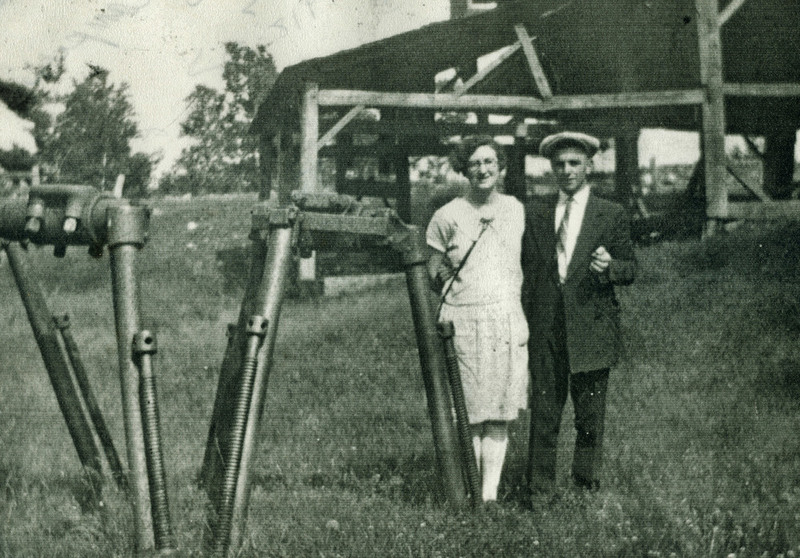 The Campion and Jones families were friends and neighbours for many years but became even closer in the’30s when my brother Doug married Charlie’s sister Myrtle. Charlie visited our home often. He loved to play the violin with Doug, joined by Myrt or my Mom, Mary, on piano. Those were wonderful times. Charlie treated me like a brother. I can’t remember when he wasn’t my friend. In the ‘30s , my Dad, Charlie Jones had a band called “The Melancholy Chasers” (after all it was the Great Depression). The band members were- Dad (caller & MC), Mom and/or Aunt Addie Rylott (piano), Doug, Dem Rylott, Charlie (violins), Harold Auger (guitar), Maurice Bell(banjo). They played for regular dances and street dances from Marmora to Brighton and had great fun doing it. In 1939, Doug Jones started the “Trent Valley Ramblers”, a country band that played from Belleville to Peterborough until about 1950. Doug, Charlie and Myrt were the core of the band that varied from 6-8 musicians. In 1941, Comstock Furniture and Funeral Home, Peterborough sponsored them for a half hour radio show on CHEX at noon every Saturday. As well as playing the fiddle, Charlie played the guitar and sang. What a thrill it was to listen to them! As I recall, the show lasted more than a year. CHEX recorded the shows, but unfortunately, the recordings were not saved. Charlie worked on his father’s farm, did custom thrashing using a steam engine, was road foreman for Marmora and Lake Township and did construction work for Ontario Hydro. It was at the Hydro, about 1950, that he lost three fingers on his right hand. Although he was right-handed, he was happy that his left hand was OK, so that he could continue to play the fiddle. In 1950 or 1951, Charlie bought a slant-backed Oldsmobile; a pretty fancy car. The car was brand new and it was Christmas time. We decided we would all go from Marmora to Aunt Elvie and Uncle Harry Pollock’s in Havelock in Charlie’s car. 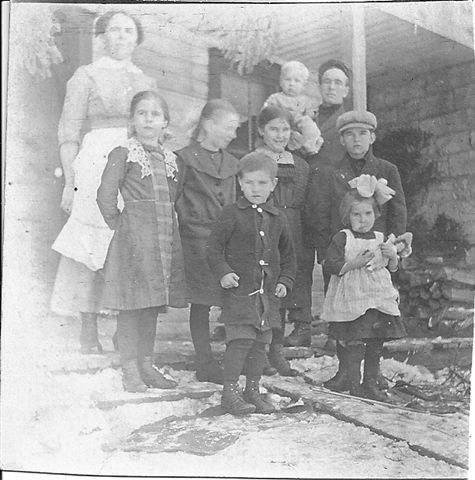 This is who got out of the car in Havelock-2 violins, 1 guitar, Charlie and Edna and their daughters Arlene and Joyce, Myrt and Doug and their son Eric, Betty and Bob Gray and their sons Bryan and Blaine and Ellen and me. Nobody believed 13 of us came in one car. Some people went outside to check that there was only 1 car from Marmora! We had a lot of laughs about that one. Let us move forward to the early ‘60s. Charlie’s niece Carol (Ab’s daughter) was in hospital in Toronto dying of leukemia. Charlie visited her several times and sometimes stayed overnight with Ellen and me. One night Charlie said to me ”Let’s go see Red Foley at the Horseshoe Tavern”. Red was a famous country singer and a member of the Gran Ole Opry. He joined us for a beer and Charlie talked about fiddle playing and how he would like to meet Red’s band. Red took us back to the dressing room and introduced us to the band. Charlie always had his fiddle with him and played the warm-up song with the band at the start of the next set. Charlie and I were in heaven. A year or two later I went to see Charlie at the Norwood Fair fiddle contest. Usually Tommy Mason MC’d these contests and would chord if a fiddle player did not have a piano player. Tommy was not there so Charlie needed a piano player. He asked me if I would chord for him. I told him I was stale at it, but he insisted. Charlie said, “We’ll start in the key of C”. He started playing a fast breakdown in C and I was doing fine. Then he changed to G and I was still OK. Then he changed to A and I knew I was in trouble. I fumbled and fumbled and Charlie, the pro that he was, kept playing. The tune finally ended. Charlie didn’t win and I felt responsible. I never heard Charlie swear, but he did say “Gol Darn” frequently. I expected to hear a lot of “Gol Darns”, but all he said was “It’s not your fault, Bob. I shouldn’t have played that Gol Darn tune”. Charlie started at Bethlehem in Marmora as a welder in 1952 and retired from there in 1979. In 1982, Charlie and Lee were married and lived in Peterborough. Being retired, Charlie could spend a lot of time playing his beloved fiddle, so Lee and Charlie went “on the road”- to fiddle contests in North Bay, Pembroke, Perth, Carlton Place, Bobcaygeon, and at fall fairs all over Ontario. And the BIG ONE, at Shelburne, Ontario at least 20 times. Charlie won many trophies and Lee brought some with her today- Even when he didn’t win, the best tail gate party was always at Charlie’s big RV rig. Lee and Charlie went to Nashville and Wheeling, West Virginia several times. In Wheeling, Charlie was always invited on stage for the jam session after the Jamboree. Charlie knew many, many musicians and frequently bumped into them unexpectedly. Lee recently shared one of these meetings with me. She and Charlie were coming out of a restaurant in North Bay and met 3 fellows entering who Charlie had played with at the Queens Hotel in Peterborough. They were playing at the Blue Spruce in North Bay and invited Charlie to join them that evening. Charlie didn’t just play 1 or 2 tunes. The audience liked him so much he played for the entire show!! Charlie played with Peterboro announcer Shawn Ayr’s band at the Queens Hotel for a long time. That band, plus square dancers, played for free at Senior’s Homes in the Peterborough area for several years. Charlie was a mainstay in the early to mid-eighties at the Town Hall Hootenannies in both Norwood and Havelock. In 1992, health problems forced Charlie to stop playing his music. And now, in 2004, Charlie has completed the first leg of his life’s journey. Professor Henry Scott Holland said- “Death is nothing at all- I have only slipped away into the next room. I am I, and you are you. Whatever we were to each other, that we still are. Call me by my old familiar name, speak to me in the easy way you always used. Wear no forced air of solemnity or sorrow“. God speed on the 2nd leg of life’s journey, Charlie. You will meet many fiddlers there. Gol darn it, I hope some of them can play with you that 3 key change- C to G to A! !